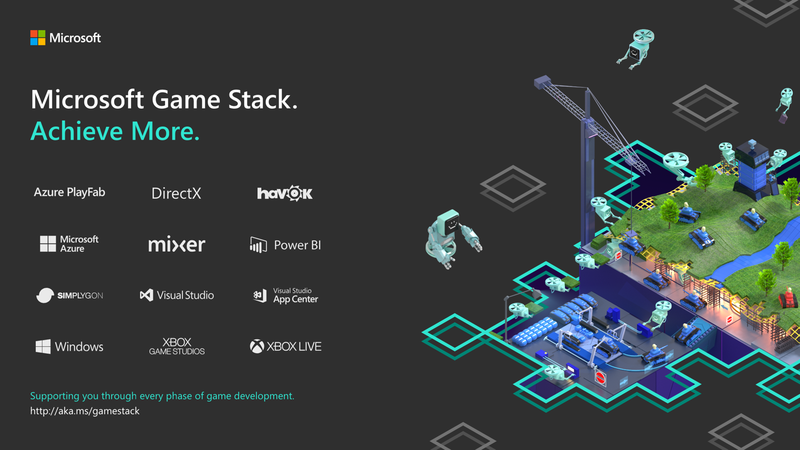 Microsoft today announced a new initiative that combines under a single umbrella all of the company’s gaming-related products for developers like Xbox Live, Azure PlayFab, Direct X, Mixer, Virtual Studio, Simplygon and Azure. That umbrella, Microsoft Game Stack, is meant to give game developers, no matter whether they are at a AAA studio or working solo, all the tools they need to develop and then operate their games across devices and platforms. In addition to these announcements, Microsoft also today said that it is bringing an SDK for Xbox Live to iOS and Android devices so developers can integrate that service’s identity and community services into their games on those platforms, too. Microsoft has shared some more information and the first look at Project xCloud. The company has been working on a cloud game streaming service for a while. Microsoft is preparing the future of gaming platforms with a device-agnostic service that lets you stream games made for the Xbox One. Once upon a time, people had to wait for the Super Bowl to watch the ads. Those dark days are over. Now you can have companies sell you products on-demand, any time, day or night. Amazon has already debuted its latest Alexa ad, and now Microsoft’s getting in on the action — and this one’s a bit of a tear-jerker. The software giant’s Super Bowl spot highlights some of the work it’s done to increase the accessibility of its products. Front and center is the Xbox Adaptive Controller, a $100 ad-on that makes the console more accessible to gamers with a range of different needs. The spot features a number of different children (and their parents) who are better able to enjoy gaming using the device. The Adaptive Controller was created with input from a number of different groups, including The AbleGamers Charity, The Cerebral Palsy Foundation, SpecialEffect and Warfighter Engaged, and tested with help from various users. On top of its base functionality with two large pads, it also works with a number of different control inputs, which can be plugged into the rear of the product. A week after Google launched a game streaming service “Project Stream“ in beta, Microsoft’s touting its own take on the category. Project xCloud is, naturally, an Xbox game streaming service, designed to bring the console’s titles to a slew of different platforms. Outlined via blog post, the service is the latest offering to offer gamers the promise of cross-platform autonomy, bringing CPU-heavily titles to the PC and mobile devices. Public trials of the service will kick off next year. For now, the company is busily recruiting developers to bring content to the service and testing in private beta. Those tests involve running titles on smartphones and tablets, played with bluetooth Xbox controllers or via touch. The latter, naturally, presents its own sorts of challenges. Games developed for complex consoles don’t necessarily translate to touch. For now, the service is far from public. Microsoft certainly has the hardware/gaming/enterprise expertise to pull it off, but execution is still a ways off, unlike Google’s recent Assassin’s Creed Odyssey demo, which is currently being offered in public beta. Red Dead Redemption 2: Coming October 26, 2018.